At Guidebook, one of our core values is to constantly iterate on features or products we release. It is one of the 9 values which we emphasize with every new hire, and at every all hands. This applies to new features and to older ones — no screen, component, or workflow should be allowed to stagnate. We launched the revamped Guide Discovery (now called simply Home) a year or so ago, and since then have gathered data on how the feature is used and navigated, what works, and more importantly, what doesn’t work. After the launch of Spaces, we decided it was time to rethink Guidebook Home, and see how it could be improved. Now that Home 1.5 is live, let’s take a look at what we improved, and why. With the launch of Spaces, we added a fourth objective: allow you to switch which currently active Space you’re in. That’s a lot of (quite important) tasks to accomplish in a single view. With that in mind, we established a few goals we wanted to accomplish with the redesign. 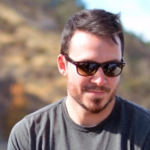 We realized that having that many objectives to accomplish on a single view was becoming unwieldy, and would only become more so as the app expands in scope. We wanted to reduce the amount we relied on a single view to accomplish all of Home’s tasks. Part of this also includes splitting “my guides” out into its own discrete section. Our thinking is that as a user accesses more and more guides, we want to be able to allow more interesting organization and filtering on their downloaded guides, which we couldn’t easily accomplish if they were mixed with un-downloaded guides. With the release of Spaces, we needed to allow two methods to search for guides: global and Space-local. We initially accomplished this by having a global search accessible through the Spaces drawer, while local (Space contextual) search was performed within Home itself. This was confusing, though, as it wasn’t immediately obvious that you should open the Space drawer to search for guides. We wanted to unify these two search mechanisms. With Home, we introduced some fancy new navigation. However, it was inconsistent with native OS navigation paradigms. In the interest of reducing user confusion with Home, we wanted to adhere to more standard navigation UI, primarily around a bottom tab bar. This is where your downloaded guides live. If you have a single guide downloaded, or only a few, you may not notice any major improvements. The improvements become more noticeable as you download more guides, allowing us to do things like organize your guides my favorites, last opened, popular, etc. This will become more fleshed out as time goes on. This is most similar to the old version of Home, where you can organically discover guides by category, or have guides recommended to you. Explore is where you would go to discover nearby content, guides your connections have interacted with, and more. This will allow us to better focus this view around discovery, rather than discovery AND your downloaded guides. This section is fairly self-explanatory. Find a guide is where you will go to search for new guides by name, or by entering a passphrase. Eventually we’ll be able to suggest guides here as well, such as trending searches. This is also where we have consolidated search: from this view you can both search globally for guides, or locally within your current Space context. 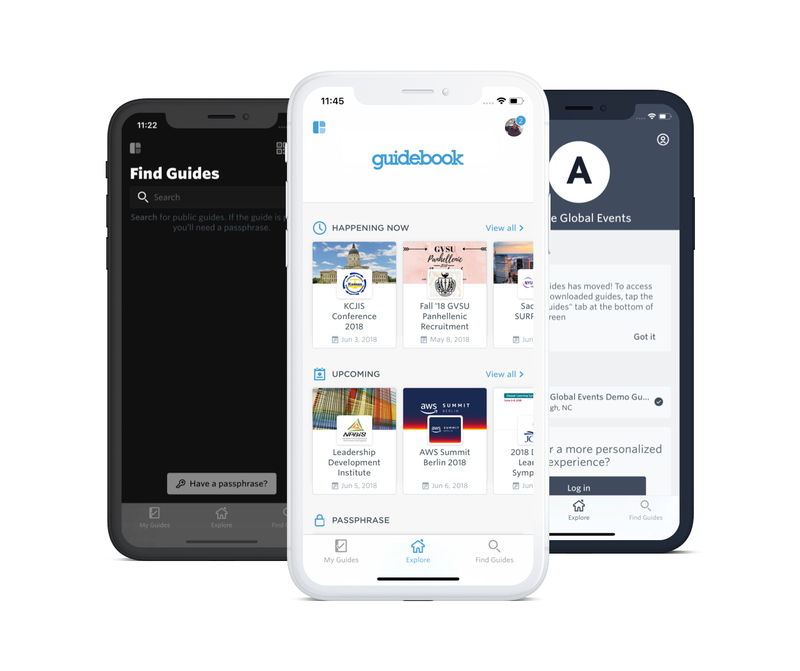 As always, we’ll continuously be iterating on Guidebook Home; we believe it to be one of the most important areas of the application. With that in mind, let us know what you think and how you think we performed against our goals or what you’d like to see done differently. We hope you like it!